The Israeli army has killed 25 Palestinian children in the occupied West Bank and the blockaded Gaza Strip since the beginning of 2018, a human rights nongovernmental organization (NGO) said earlier this month. Hundreds of Palestinians on Monday laid to rest three teenage boys killed in an Israeli airstrike, with their families insisting they had no militant ties as mourners called on Gaza's militant groups to retaliate. The Israeli army claim they placed an explosive device on a security fence. The boys were identified by the Gaza health ministry as Khaled abu Said, 14, Mohammed Abu Zaher and Mohammed al-Satari, both 13. It said paramedics who retrieved the bodies on the Gazan side of the fence confirmed that the children did not have weapons. According to United Nations agencies, between 30 March and 6 October, 205 Palestinians have been killed and 22 267 injured during demonstrations along the perimeter fence. Residents said children often go to the border area to plant traps used to catch birds, to forage for food for livestock or tend to crops. An israeli soldier has been killed. Israel has been criticized by a United Nations human rights body for its killing of protesters in Gaza and treatment of the Palestinians, declaring it as a "war crime" under the Statute of Rome. 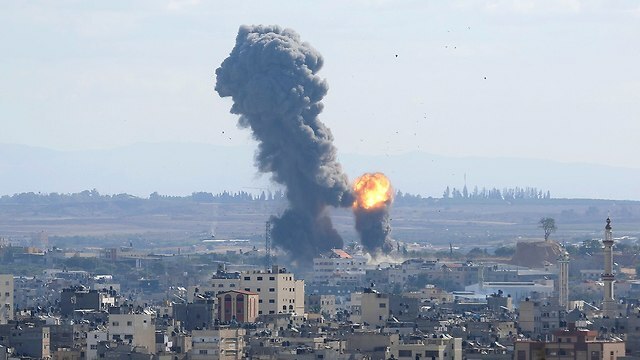 In the latest on Friday and into Saturday, Palestinian militants fired dozens of rockets into southern Israel, which responded with extensive air strikes.